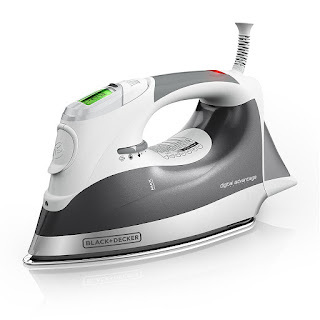 Head over to Amazon.com where you can score this BLACK+DECKER Digital Advantage Professional Steam Iron with LCD screen for just $29.99 shipped when you clip the $10 off digital coupon! This digital iron features a stainless steel soleplate to glide smoothly over all fabric types. The customizable digital settings and easy to read LCD display screen let you choose the perfect amount of steam.